Established in 1977, the CDFD Auxiliary has been an important contributor to the work of the Fire Department and, therefore, our communities. We are proud and honored that our Auxiliary includes women who have been members for many, many years, and some have even been part of this organization since inception. 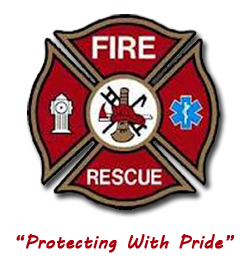 With a mandate to support our Fire Department, the Auxiliary has worked diligently, with great commitment and enthusiasm, resulting in contributions in excess of $100,000.00 towards the purchase of a variety of Fire Department equipment and protective gear. These days, the primary role of the Auxiliary involves fund raising efforts through our annual Yard Sale/Bake Sale, occasional raffle ticket sales and, most recently, cookbook sales! Additionally, we work to assist the Fire Department with the annual Garden Party/Auction, the major fund raiser of the CDFD, which is a wonderful event that brings our communities together. Ultimately, the Auxiliary is ready and willing to further the work of the CDFD, whenever possible, as we happily combine Auxiliary goals with enjoyable times of fellowship. We are grateful for all of the support and generosity provided by the residents of Cornwall and beyond, as well as, businesses throughout the South Shore. Thank you so much. And we invite any, and all, community members to join the Auxiliary as we continue to aid in the critical work of Emergency Services provided by the good men and women of the CDFD.